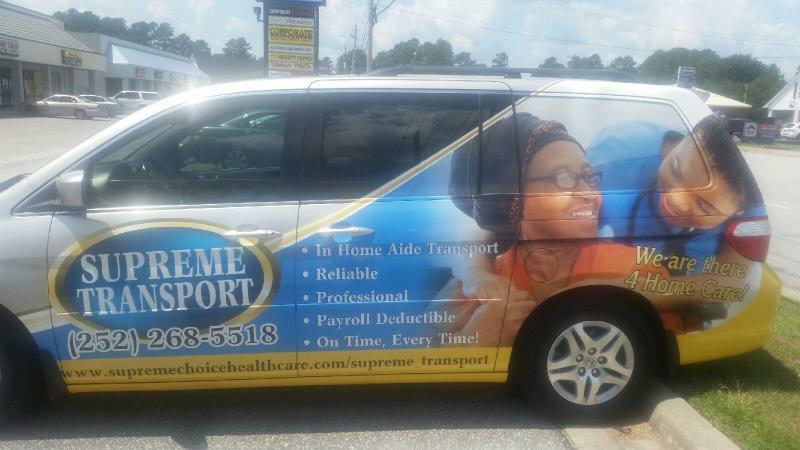 Supreme Choice Health Care now provide transportation services to in home aides. Our agency know that sometimes quality workers lack transportation; therefore we are closing the gap and providing these aides transportation to and from their destinations at a very low rate. WE ARE THERE 4 HOME CARE!! Interested in transport services? Contact our transportation services unit at:(252) 268-5518 for more information. Make payments for your trip instantly via paypal servicing!! **We make every attempt to update our site information, however updates may be delayed as we are always welcoming new ideas, and benefits for our staff and clients. Everything that we offer may not be present, and some information may be outdated. Copyright 2010 SUPREME CHOICE HEALTHCARE. All rights reserved.